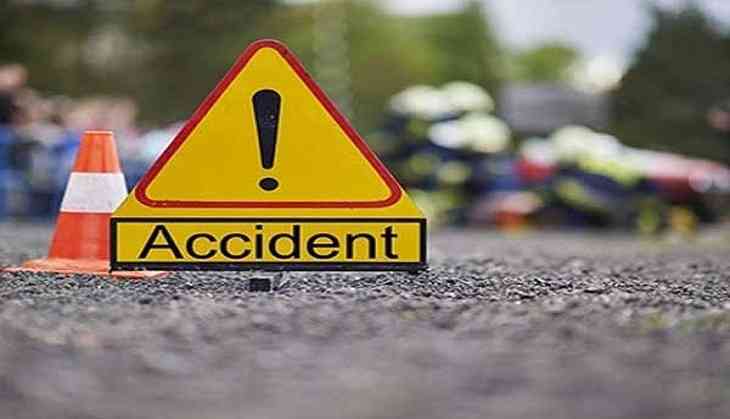 At least five people were killed and 11 injured when the mini-bus they were travelling in allegedly rammed into an unidentified vehicle in Rajasthan's Bikaner district, police said today. The accident took place late last night on NH-11 in Dungargarh police station limits when the passengers of the mini-bus were on their way back home in Binadesar village after attending a marriage ceremony from Moondsar, they said. In the tragic accident, Mahaveer Prasad (55), Lekh Ram (45), Govardhan Ram (45), Sukhram Jat (60) and Tola Ram (45) died while 11 others were injured, who are undergoing treatment at PBM Hospital in Bikaner, police said. They said that efforts were on to trace the other vehicle involved in the accident. According to police, a case was registered in connection with the incident and bodies were handed over to family members after post mortem.